Great Dane Staining provides fence staining, deck staining, garage door staining, pergola staining and shutters staining for the Austin, Cedar Park, Georgetown, Round Rock, Leander, Lakeway and Pflugerville areas. We have served the central Texas communities for over 10 years and is the premiere choice for all your wood staining needs. Fence staining not only looks great, but can prolong the life of your fence and add value to your home. Fence staining provides two purposes, it prevents mold buildup and help shield the wood from harmful UV rays which can shorten the life of the fence. Pergolas are a charming centerpiece in any yard and a great way to extend your outdoor living. 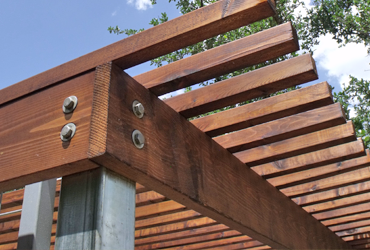 Pergola staining offers great protection against weathering which can cause wood decay that can drastically shorten the life of the structure. Wood garage doors offer a striking appearance and can exude luxury to any home. Garage door staining is important as it can protect your wood garage doors from the weather elements and bring out their best beauty. Wood shutters are a simple way to add uniqueness to your home and improve it’s appearance. Like any wood products, its susceptible to weathering and can age over time. 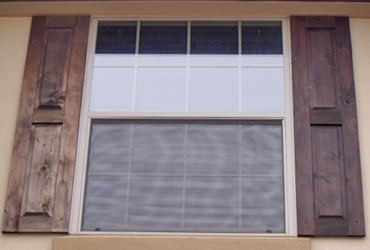 Wood shutters staining protects the wood from decay and harmful UV rays which decreases their lifespan. Wood playscape is a great investment for children and can be enjoyed for many generations. 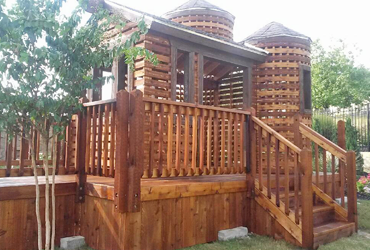 Wood playscape staining offers great protection against rotting wood which can lead to insect problems and structural integrity issues. 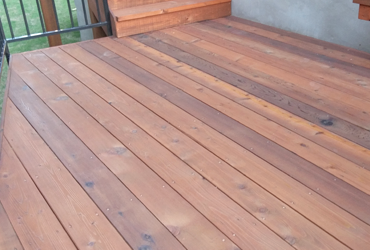 Wood deck is a great investment and can add a lot of value to your home. Wood deck staining provides great protection against mold and mildew which can lead to rotting wood. 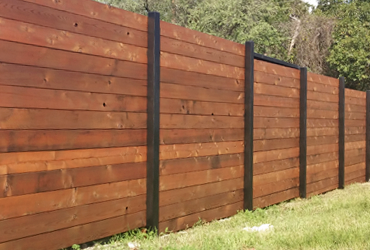 Great Dane Staining is Austin's #1 fence and wood staining company. We provide our customers with the highest quality of workmanship and most excellent customer service. 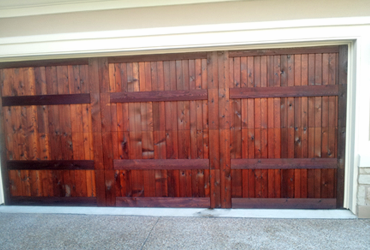 As a leading Austin, Cedar Park, Round Rock, Pflugerville, Georgetown, Liberty Hill, Lake Travis, Lakeway, Bee Cave, Allandale, Kyle, Buda, Steiner Ranch, Avery Ranch and Crystal Falls fence stainer, we use only the highest quality wood staining brands such as Cabot wood stain, Ready Seal wood stain and Olympic wood stain. We also offer a wide variety of other wood staining and wood restoration services; pergola staining, garage door staining, shutters staining, kids playground staining, deck staining, arbor staining, trellis staining, patio covers and gazebo staining. We look forward to providing you with outstanding customer service and serve all your wood staining needs in the Austin Texas areas.